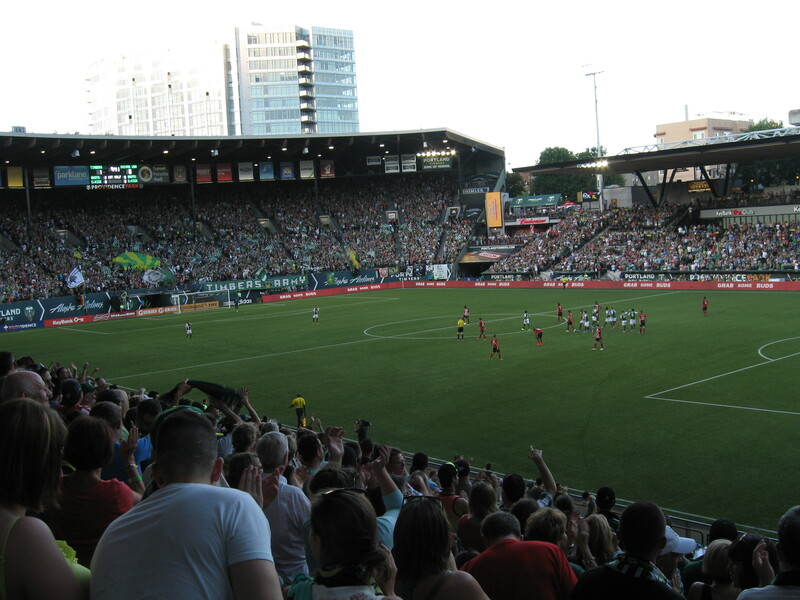 Favorite New Stadium: Providence Park……As if there was any question on this. If I had a Bucket List, this venue would be close to #1 as I have been fantasizing about making a visit and it was a key reason we chose Oregon for a summer vacation. The home of the Portland Timbers combines everything that I love in a sports venue: history, unique design, special touches and amazing atmosphere. There will be no other soccer stadium like this in the country and the re-design to become home of Portland’s MLS team in 2010 is remarkable. Add in the Timbers Army and you have a very special place. Worst New Stadium: Volcanoes Stadium……What an awful ballpark. It’s amazing that Volcanoes Stadium is only 17 years old as this park feels like 1985. The edge of suburban setting in Keizer, OR sets the stage for a blah experience in a drab stadium. The lowlight is the faded-red seats which now resemble a pink color. Favorite New City: Kingston, ON…..Just yesterday, the Limestone City was featured on Rogers Hometown Hockey. Kingston was the site of our second OHL trip and I was pleasantly surprised at the beauty and vibrancy of this city on the shore of Lake Ontario. A walk down Princess Street is full of eclectic eateries and it may be possible to go a season with trying a different post-game establishment after each Frontenacs contest. 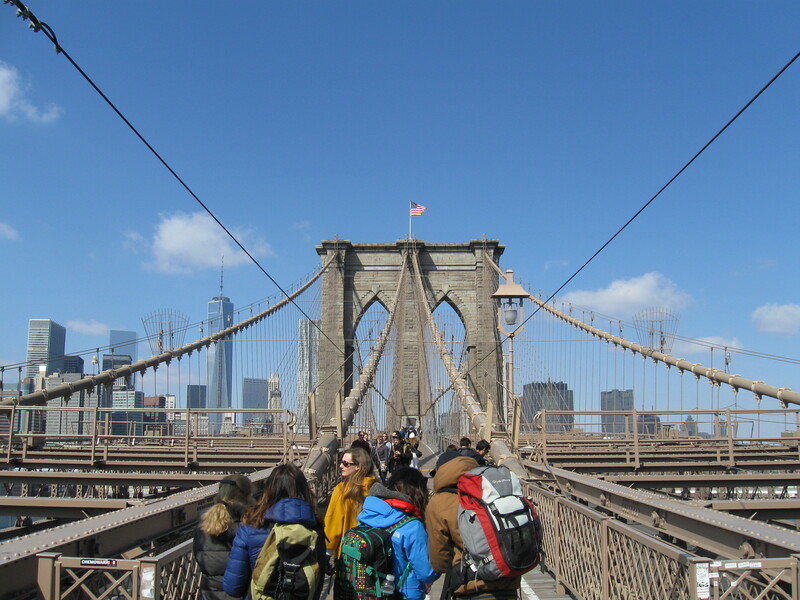 The city’s architecture is appealing and a lot of history can be explored on a visit here. I Need Light: Barclays Center…….Jay-Z’s obsession with all things dark is a little overboard. Along with the Nets logo and Barclays Center interior, the lighting is kept to a minimum, so much so that walking up and down stairs in the upper deck of seating is a challenge. I could not even read my program without the use of a cell phone flashlight! The whole spotlight on the court thing may look cool, but let’s save the dimmed lighting for theatres. Best Restaurant: Depot Grille…..Only a few weeks before our visit, this restaurant was closed because of a train derailment. Everything was back up and running in this scenic spot at the bottom of Lynchburg’s downtown hills. The old train depot decor really makes this place a great spot, while the classic American food is decent as well. 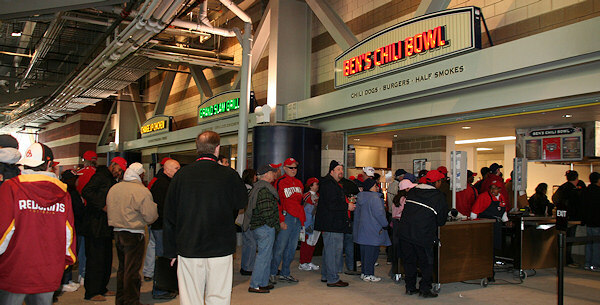 Best In-Stadium Food: Ben’s Chili Bowl…..Not for those with weak stomachs, this DC institution is popular all game long at Nationals Park. In a ballpark full of great food options, I went with Blue Smoke (BBQ), but did at least have a sample of Ben’s famous “half-smoke”, which is a sausage smothered in chili sauce. Good stuff. Best Game: Lynchburg vs Winston-Salem……In what was a good year for the home teams (10-4), the only good finish to a game took place on Memorial Day in the Carolina League. We went to the ninth inning with Lynchburg down 6-4. Aided by a pair of walks, the Hillcats loaded the bases and with one out and Jose Peraza at the plate, the game was in doubt. Peraza ripped a single to left field and a misplay by Courtney Hawkins led to three runs scoring as the jubilant Hillcats celebrated on the field. This also marked the first walk-off hit I have seen live. Championship Teams: Hillsboro Hops…….After the Beavers left Portland in 2010, there was no baseball within the Portland Metropolitan area. That did not last long as Hillsboro, a suburb 30 minutes to the west, ended up building a ballpark that drew a Northwest League franchise. With clever branding and a shorter season, fans have filled Ron Tonkin Field nightly and they were rewarded with a championship this season. Our game featured a rare loss by the Hops, but that was an anomaly as Hillsboro went on to win 20 of their last 26. That included a sweep of Vancouver in the championship round. Best Drive: US-97 and US-26 from Bend to Portland…..We went everywhere in our week-long trip thru Oregon and after spending some time on the edge of the high desert (where we saw the Bend Elks play), we made the 3-hour drive back to Portland with some incredible scenery. The Central part of the state is unknown to many as the terrain is more stereotypical Arizona than Pacific Northwest. The entire time, snow-capped Mount Hood is the focal point and quickly, the route climbs back into the Ponderosa Pines that surround the famous mountain. From there, it is all downhill to the Rose City. Worst Drive: I-81 to Hamilton, NY…..This isn’t so much a bad drive as it is more annoying than anything else. Colgate University’s campus is smack dab in the middle of New York state. With no highway access, there really isn’t good way to reach the tiny, charming town of Hamilton and some old-school map skills are needed for the best route. Rolling farmland generally follows the ride along the quiet two-lane roads, which can be a little scary if on them at night. Best Side Trip: Vandalia Gathering…..West Virginia has a backwoods reputation that limits visitors to those just focused on outdoor recreation. However, I would encourage everyone to also venture into Charleston, where we found the little city along the Kanawha River to be full of great people. Each May, the grounds of the State Capitol host a celebration of all things Appalachia and before a game to see the West Virginia Power, we hung out at the festival enjoying jam sessions all over with banjos, violins, fiddles and the like. 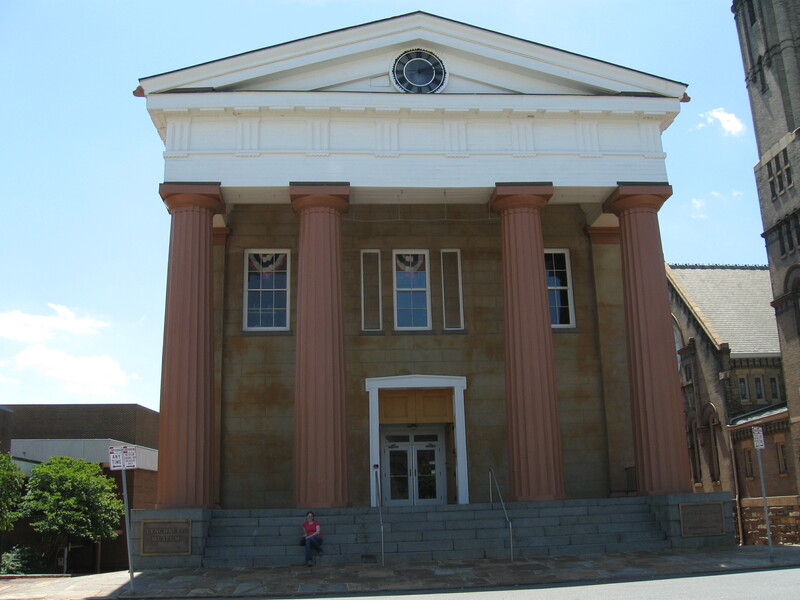 This was followed by a visit to the free and excellent West Virginia State Museum. Great food, great people, great sounds, Charleston was a pleasant surprise. Best Return Visit: Bell Centre…..With nearly 150 more stadium experiences under my belt, a trip back to hockey heaven in Montreal was long overdue. My brother joined me for a memorable return to Quebec that included a trip up Mont Royal and a walk-through Old Montreal. Despite the constant cold and nursing of Eric’s leg infection, the trip was great and a Canadiens game remains a top experience in the NHL. I may not be a huge fan of the building itself, but the atmosphere is terrific and the team hall of fame is remarkable.